Genesys PureEngage Review: "Why PureEngage Remains A Market Leader"
I have been working with Genesys for almost 11 years now. PureEngage solution is a proven and efficient customer relationship management platform. Its ability to integrate with other solutions is impeccable. We once developed a routing recommendation engine using other Genesys APIs to make use of the historical statistics of the agent and customer to a perfect matching. The custom-developed application is based on some metrics and calculations and arrives at a number which again is derived from how soon the agent is going to available or how efficiently the agent is going to handle is this customer. The ability to deploy such complex solution was amazing. It would not have been possible without PureEngage solutions. VHT as a stand alone model can be easily plugged into to the current call routing with minimal changes and it works like charm. Platform SDKs are a powerful tool that help integrate with other third party solutions or to build custom made applications. The whole routing solution is amazing . With user friendly composer, you have the option of building both VRUs and routing strategies. And, they are very easy to deploy. The level of details for report customization is another strong point. Complexity : Highly skilled engineers are required to deploy the solution. Troubleshooting with logs is still a pain. Its more of a recommendation to Genesys to come with some software that makes log retrieval easier. In case you want to come up with a custom solution or an application, Genesys SDKs provides you with 360-degree interoperability. You name it and I think we can make happen with the power SDKs provided by Genesys. Plus, the scalability of the applications is very high. PureEngage is such a powerful solution, I don't think they are less appropriate anywhere. Genesys PureEngage Review: "An all in one solution for your contact center"
We use Genesys as an all in one solution for our Contact Center. In a nutshell, we have Inbound voice, outbound, chat, email, iWD, wfm, and reporting. Currently, our entire call center part of the contact center uses a Genesys product. Recently we have started to integrate the back office agents on to Genesys using iWD. I can give a specific about what problem we use iWD to address. Genesys has a product called iWD. This is used to route back office work to agents. Our company had a specific problem where they were not able to get reporting statistics on what their agents are doing. Traditionally, we started with a pull method. A bunch of forms gets loaded into a central location. Agents go in there and start working of the forms. At the end of the day, they know agent 1 completed 20 forms and agent 2 completed 15 forms, etc. What this can't tell them is how long did this form take to complete, what is the average handle time for this form, etc. We implemented iWD to solve this issue. What this allowed us to do was to stop agents from cherry-picking forms and to give proper reporting statistics. This made a world of difference. The call center is now able to get real-time and historical reporting all the way down to the individual form that was submitted. Having access to this leads to much greater efficiencies. Along with the reporting, you are able to build rules associated with each form. It is extremely easy now to prioritize various forms over others so that you can meet deadlines and such. This has lead to an astonishing increase in the amount of work they are able to complete and has completely transformed the call center. Ability to use one solution. This gives your contact center a central location for things like routing and reporting. Support. Genesys has a top notch support center. Their support team is able to resolve issues very quickly and can help you if you get stuck while developing something new. Variation. I really enjoy the various products they have. Since I directly develop for these application at our company, this keeps my job interesting. Every so often, we come across a new product they offer that sounds like it will be perfect for us. This keeps my job fresh and interesting. Becoming an expert. If you are new to Genesys, trying to learn all the various parts is a very difficult task. Using Genesys PS is a treat, but trying to do anything yourself will require expertise. More specific training. I don't know if this is possible, but I would really appreciate if they were able to provide training directly in your environment. Since all companies are different, it is hard to have a single training that applies to everyone. Genesys is easy to recommend to a traditional call center. They provide fantastic products that can accommodate voice and chat routing. If you want to dabble into more complex modes of communication, Genesys really excels. They are able to take the customer experience and track them through your entire system. You can start to see exactly what each customer is doing as they interact with your contact center. From submitting various forms to calling in about certain issues. 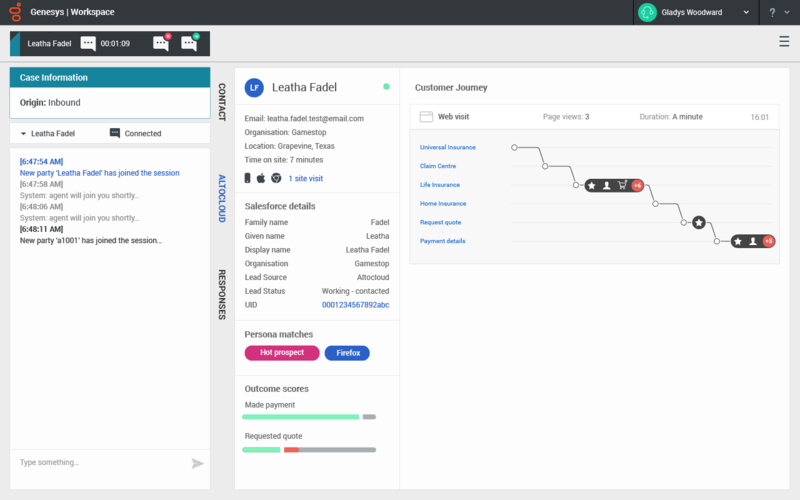 Genesys PureEngage Review: "The Enterprise Interacting Management Backbone"
Genesys is the middleware backbone for our entire global customer interaction management system. We use Genesys to handle, manage and deliver our members (and guests) questions, concerns, and requests to some 7000+ agents scattered across the globe. Genesys also provides the 'glue' to integrate into many enterprise systems that provide data or need updates based upon the nature of these interactions. Unlike many other competing systems, the open-ended flexibility in configuring routing is the best, bar none. Pretty much whatever integration points and routing logic you can dream up, you can build it in Genesys; there is no practical limitation. Technical support at Genesys is also very versed in the capability of their software and seem to be able to understand how it can and has been used by its customers. This provides us developers with a source of online information and support that helps make creating solutions less worrisome. The wealth of documentation is impressive and comprehensive. One area to improve might be in more practical examples of configurations that demonstrate how to use features. The definitions of the options/settings may exist but there are examples where putting them all together, into a working solution are missing or light. More videos like those for GRS configuration would be great in describing new products and how to use features. One trivial request, the support site seems to always ask for PureEngage versus PureConnect when looking for documentation. To me, it doesn't really matter which one it is, but it seems like an extra layer that provides me no help. I'd say that in all scenarios, except for the small footprint size, Genesys is the right fit for any enterprise installation. You can't beat the flexibility and scalability of the product. The only contrast is the cost of the production and the investment of support staff are more significant than most folks realize. Genesys PureEngage Review: "Genesys : Computer to Telephony Integration Solution Provider"
After my Bachelor degree I got placed in an MNC and got selected one of the Premier Clients where I was introduced to Genesys: Contact Center Solution Provided based on the features of the Customer Interaction Management Platform. Over these years I have got the opportunity for working in Genesys environments. I have seen how Genesys evolved and its main idea of providing exceptional customer services with intelligent routing. I have got an opportunity to work with Legacy Genesys products like Voice Treatment Option which was to used to configure the Prompts and later worked on Stream Manager environment where the music and prompts were placed in the installable folder and Configuring the Strategy using the Interaction Routing Designer Now currently working on MCP and in future I will be working on the GVP product Used the development interfaces like the Genesys Proprietary IRD and also plugin based on Eclipse - Composer Had the chance to work on Genesys versions 7.2,7.6,8.1,8.5 It is being used as the Customer Service for voice, email,Chat architecture of the organization It address the customer enquirers, their issues and product information, placing orders, status info etc..
Genesys has always been competitive with the current trend and always up-to date. When the sudden raise of Cloud technologies evolved in the market - Genesys has come with the Pure Connect and Pure Cloud Platforms. It has also started implementing the Artificial Intelligence technology integration with Genesys. For large contact center environments, I would definitely recommend the Genesys PureEngage platform. However, for medium and small contact center environments (depending on their architecture-- ie if they are already on a cloud environment), I would recommend either the PureConnect or cloud platform. Genesys PureEngage Review: "PureEngage is Miles Ahead of Others"
Genesys PureEngage is amazing! To have the ability to have one system package to process voice calls, route based on your company skill sets, and report statistics is truly beneficial to a successful corporate model. When comparing it to other software in this market, Genesys PureEngage is miles ahead of everyone else. The additional enhancements that can be paired with it, such as Genesys Callback and GMS, are amazing! 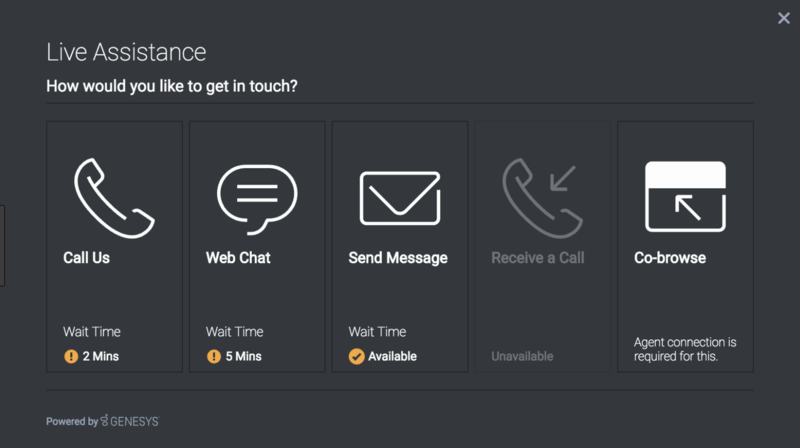 We have now integrated Genesys Callback, and because of it, we have tripled our customer's capability to schedule return calls and connect them to someone who can help them instead of the call just rolling over to whomever is next in line. Reviewing real time statistics is easy when using Genesys Pulse! The best part is that the resource demand to use it is minimal as it is web based. Other real time statistic systems are program based, which drives down the performance of your computer. But not with Genesys Pulse! I would like to see more flexibility with what reports can be run out of Genesys WFM Web Supervisor. Currently, you can only run what is provided within the system. Thanks to the PTO System in Genesys WFM, we have set it up to auto approve time off, based on certain key factors/conditions, and no one has to be in office to process the PTO. This frees up much needed work time for our WFM Analysts. In addition, the tools within the system, such as Adherence Monitoring and Intraday Performance, give our Team and Operations Leads the capability to effectively monitor the call center and Agent Performance along with skilling enough agents to cover our products. Genesys PureEngage Review: "Genesys has Inspired Us to Deliver Best Customer Experience"
I am working at Jawwal; the leading mobile operator in Palestine. We are using PureEngage to receive inbound calls from our subscribers to enable them to manage their self-service without making any need to call agents or visit the company showrooms. Currently the PureEngage platform is used by Integrations and Development Department and also by the customer Care Department to enhance the customer experience and improve the customer satisfaction. Previously, we were using Alcatel Lucent platform as IVR channel, but the problem that the time to market was too much. Also there were many operations on the system. Genesys platform is powerful, high available and fault tolerance as it consists of decoupled software components that constitute a robust voice processing platform. I think creating an integrated service that helps implementing TTS and ASR functionality from Genesys them selves will be a great feature. Currently the integration of Genesys Voice Platform with third-parties of TTS and ASR engines is difficult as I think. We face some difficulties when we implemented it. In the Arab region, specifically the Middle East region; there is a need to be able to create new and custom grammars for Arabic language ... this will be a great feature that helps Arabic community who are using Genesys platform with Genesys Composer. As Genesys Administrator is a web-based GUI to manage, create and monitor Genesys applications and solutions. It will be very good to add a new screen/tab for GA to manage the prompts replacement and versioning of live IVR applications, and another one to manage IVR applications versions and history. Large and enterprise environments like telecom operators and Government self service departments. Small businesses with low calls rate. Review: "Genesys PureEngage Experience is Service Made Easy"
Genesys PureEngage is being used by the majority of the organization to deliver omnichannel experience to TELUS customers. Genesys PureEngage has a solution for the entire contact center ecosystem starting from routing, reporting thru to workforce optimization. Better support for open source products if used as part of a product offering. IE Elasticsearch, Cassandra etc. Genesys PureEngage Review: "PureEngage: An ocean of features for omni channel customer experience." Genesys PureEngage is a world-leading omnichannel customer experience platform. The solution helps the customers to engage with the organization on all communication channels like mobile, web, social media, email and voice. PureEngage is powered by powerful Genesys software which is behind many of the world's leading contact centers. Industry best practices are baked into the product which delivers the best in class omnichannel customer journey. With the growing demand for digital channel usage, Genesys has incorporated the routing and reporting infrastructure to handle omnichannel interactions. PureEngage provides a personalized experience for the customers. Interaction recording solution needs maturity. Dependencies on open source software. Genesys PureEngage is suited for any organization looking for an omnichannel customer experience. The advantage of this solution is that it is flexible and scalable to any extent depending upon the needs of the organization. Application development is using VXML standard and can be used by any resource who has knowledge in development principles. This solution is less appropriate for organizations that have a small number of agents and a low call volume. Review: "Genesys PureEngage: The leader of Contact Centers"
At Intracom Telecom, we are using Genesys PureEngage with almost all components. Intracom Telecom is the leading company for Call Center technologies in Greece and abroad. Therefore, if there's a new application or new Genesys module, we train and implement it officially for our customers. We also implement Proactive Chat and Genesys Outbound in order to increase customer experience for our customers. We create proper supervisor processes in order to manage Agent's shifts using Genesys WFM. Agent or call based issues are being solved using InfoMart and Interactive Insights reporting. Genesys IVR for enhanced capabilities is also being used in order to design dynamic IVR functions. This is achieved using powerful routing strategies for voice media channels. Concluding, we use all solutions from Genesys (SIP, E-services, GVP, Routing, WFM, Outbound etc) and it addresses all kinds of problems that have relation to VoIP calls and Contact Centers in general. Tremendous options for customizing to fit any possible business scenario. You don't have to buy everything, just the components you need and add them to the current configuration. There are constant reviews, updates, and hotfixes. There should be more practical examples of how to use their functionalities. Genesys PureEngage is focused on medium and large contact centers. You can use CIM Platform, outbound campaigns, media channels, and GVPs. For small call centers, a deep study should be done to implement a Genesys PureEngage scenario because of the complexity and costs. It is being used as the ACD system for the FAA's MyIT Service Center. Chickasaw is the contractor for the Help Desk. I use your program to gather and report call data on a daily, weekly, and monthly basis. Genesys is a powerful utility that makes my reporting duties much easier. Call data on the number of calls received. It allows me to report on calls expected vs actual calls presented and adjust baselines. Run reports on demand from the customer and turn around the finished product very quickly. I would like to be able to add search parameters in a much more user-friendly environment. If the reports are prebuilt, I can turn around a report request very quickly. If I have to build a report from scratch, it is very time consuming and frustrating. The customer does not like to be asked to wait and it tarnishes our reputation with them. They are not a very patient lot. Genesys PureEngage Review: "Next Generation Contact Center"
The application provides hardware flexibility and almost any kinds of customization is possible in Genesys as per customer need. IVR customization and modification is more flexible. Routing parameter is end-user friendly. Integration with 3rd party applications I.e Twitter, Facebook, WhatsApp. Difficult to find training materials. A skilled user has been difficult to find. Audit functionality could be improved as it is not simple for the end user. Genesys PureEngage Review: "Good product. Bad partners"
Genesys is being used only by one department. It is being used by the recovery department but we want to expand the use to more departments. The recovery department calls all customers with outstanding debts and receives all calls from customers with billing problems. For us, the service is critical as it directly impacts the business's billing. Informart. We have some detailed reports with all the genesys of the information that happens on the platform. Partners. In spain there are a few partners of Genesys, and some of them despite being a "gold partner" give a very poor service. I think Genesys PureEngage is not appropriate for small contact centers. Genesys PureEngage has not been able to adapt to small contact centers because their prices are not proportional. It seems on occasion that if the platform is less than 500 agents it is ignored. For large contact centers with recording and outbound needs, I would recommend it. Genesys PureEngage Review: "Yes, Genesys Can"
As an Akbank, we are using Genesys PureEngage with almost all components other than EWD solution. Akbank is the leader company for the new call center technologies. Therefore, if there's a new application or new Genesys module showed up, we're insisting on learning and loved-to-use for our customers. We're launching Proactive Chat and Vidyo solutions in order to increase customer experience for customers. Since we've launched ClicktoCall (voice, chat) feature in our mobile bank application, we got positive feedback from our customers. Create proper and less supervisor process in order to manage Agent's shifts via using Genesys WFM. Other than this, Social Engagement has been integrated first at Akbank in Turkey. Our customers contacted us via Twitter and Facebook channels easily. So that using PureEngage, we have received a good portion of the customer interaction via non-media channel. Agent or Call based issues is solved via using InfoMart reporting. Using Genesys IVR for enhanced capabilities in order to design dynamic IVR functions. Using powerful routing capabilities for voice and non-voice media channels. Genesys PureEngage is being used by CallCenter side (Inbound, Outbound, SocialMedia, Chat, Video), however, it's not being used in our bank branches. Using Genesys IVR for enhanced capabilities in order to design dynamic IVR functions. Using powerful routing capabilities for voice and non-voice media channels. WebEngagement module as we used ClickToCall in our mobile bank application along with chat session. So that when our Customer(s) are authenticated in the mobile app, they can easily connect with our Customer representative without waiting in the queue for a long duration. It helps to decrease average waiting time and increase Service Level. Support team; especially e-Services segment of support which provides an immediate solution and detailed information for the specific problem. They're really taking care of the cases and provide WebEx session without asking. Other than product defects or bugs, we've seen that Genesys documentation can include more specific information about installation, deployment, and administration. New documents/release notes should include the previous DOC information as well. Sometimes, I've recognized that I couldn't find useful info in the new document/release note, cause it's been deleted. In urgent cases, Genesys should provide WebEx session and chat immediately without asking logs and other information. Need to improve Social Engagement module by adding new social channels. Nowadays, customers have lots of alternative channels to complain such as Instagram, YouTube, Google+. Therefore, we would like to see more alternative social media plugins in Genesys PureEngage. Need to improve Reporting. Real-time and Historical. Default call center statistics should be prepared as Avaya do. No need for extra configuration. Also, real and historical values should be identical. More technical tutorials and courses can be released on support site. We're launching a new mobile bank application and hence we would like to interact with our Customer(s) easily. Therefore, ClicktoCall (voice, chat) feature is used for this Project along with chat feature. We got really good and positive feedback from our customers. Similarly, due to regulation, we have to use video channels for our Customer who have disabilities to contact with our Customer representative. Therefore, we have first launched Requestec WebRTC (Video) solution. However, as time goes by we will be launching Vidyo solutions in order to increase customer experience for our customers. User Review: "Our Journey with Genesys PureEngage"
PureEngage is being used globally across our whole organization. The key business problem was the challenge of following the entire customer journey from entry to transfer to exit, and with PureEngage, we are able to do so globally. Our legacy ecosystem consisted of many isolated ACD's, and this finally gives us one, global view. PureEngage team does a great job partnering with us on identifying the highest value services we need to run our business. The Customer CARE team started weak but has really committed to improvement and are now staffed to ensure the right level of insights and telemetry are on the platform to alert us of any issues. Overall commitment to our company has continued to grow. They demonstrate this by placing on-site resources and meeting with us regularly to continuously improve their delivery model. They started very weak with regards to their NOC capabilities on our PureEngage platform. Insights were weak, and their auto detection of incidents was so weak that we often knew of problems before they did. There is some missing functionality on their cloud platform compared to their legacy product. We have about 40 feature requests in the pipeline, all of which are needed. The NOC needs to be fortified, but I believe they are doing so and also have a dedicated team of CARE professionals that are helping with the monitoring of the SaaS solution. They are able to scale to enterprise levels. That is the biggest benefit of Genesys, and frankly, their organizational maturity has continuously evolved over the years to the point where they likely are one of the best in the market. I have limited visibility into other competitive products, but thanks to my company, they are approaching 'best in breed' for this type of product. Review: "Genesys PureEngage: a great tool for delivering great Customer Service"
We use Genesys PureEngage in our contact centers which are the first point of contact to the customer. We have been using Genesys since the year 2000. Genesys helps us to deliver customer care including customer retention, collections, claim follow-up, general inquiries; also we use the platform to perform telemarketing direct sales for a variety of products. How the different communication channels converge on the agent desktop (Workspace Desktop.) It's very intuitive and helps the CSR to have a context of all the interactions that the customers had, no matter which channel they like to use. The robustness of the platform is great, we had almost no downtime; this helps us to always be able to serve our customers. The openness of the platform. You can integrate it with a broad range of third party products and internal systems we have in place. This helps us to have the right data, giving our CSRs the tools they need to perform their jobs easily. Provide more examples of integration with the WDE, also in the Developer training there is only one chapter to customize WDE. This could help to improve the integration time. The cost of the platform could be improved. The reporting for the eServices platform (email, chat, social media) could be better; it would be great to have easier integration with business data. I think that Genesys PureEngage is better used by organizations who are customer-centric and have multiple communication channels to serve the customers, or for companies that are regulated by the Government (e.g. financial institutions,) or ones that need a platform that is very secure, where the availability of their systems is a concern. Genesys PureEngage Review: "Innovative and reliable platform!" Genesys PureEngage platform is used across 4 Nordic countries by over 6000 agents in different departments and areas, helping with the omnichannel customer journey. It is helping with our customer support on mobile and netbank applications, providing rapid responses on secure chat, email, and pre-authenticated voice. It powers the voice portal for customers with authentication, our IT helpdesk for internal employees and many more instances. Power of Omnichannel Contact - You will have the entire conversation whether it started on voice, continued on chat and ended on email. Powerful Interaction Routing - to the right skilled agent and a lot of optimization on resources. Automatic updates for Genesys PureEngage components - like Microsoft updates for example. More HA HotStandby components for seamless switchovers. Well suited if you need a very highly customised platform with lots of integrations, with different backends, and when supporting a large customer base. It will have a reasonable ROI from 50 agents. It is suitable for banks and financial institutions, telecom, retail, and can be very adaptive. The less attractive side is the cost of implementation due to the need for highly skilled proffesionals. Less appropriate for small business - I would recommend heading to PureCloud. This is my recommendation from when I got the chance to speak with our small business contacts. Review: "Genesys PureEngage great solution from a great team"
We use Genesys PureEngage for almost all Spain organization for our contact server. We have constant requests to improve and shorten the average operating times. The process to develop and promote to production environment strategies and subroutines is long and cannot be automated. There are a lot of solutions and applications than can be used for the business. There should be more practical examples about how to use functionalities. It's difficult to know how many licenses are we using. Processes of learning, implementing, controlling and managing features are expensive. Genesys PureEngage is focused on medium and large contact centers. You can use CIM Platform, outbound campaigns, media channels, GVPs. For small call centers, a deep study should be done to implement a Genesys PureEngage scenario because of the complexity and costs. Genesys PureEngage: "PureEngage review by dutch Engineer"
Within our company, we currently use Genesys PureEngage for all contact center applications. We currently use multiple solutions from Genesys next to the framework. Namely: SIP, E-services, GVP, Routing, WFM, GIR, Outbound etc. Genesys is used by all departments that have contact with customers either by mail, chat, phone or web form. We also use GIR for the recording of speech and WFM for workforce management. We also use multiple applications for reporting. Since Genesys is a complete solution with "building blocks" it's really flexible and can be used for almost all contact center uses. It has a wide application and everything needed can be added separately which is a big advantage. Flexibility is the key within Genesys PureEngage. This makes it a really well working and customizable solution. Since it's so flexible, everything you want and need has to be configured. This can take some time since you need a good business plan to know what you want to achieve. A lot of time is needed for learning all the products! (expect ~2 years of training before you know the system well). It's a good solution for big contact centers since it's so flexible. All kinds of solutions can be added which makes it a complete solution for your contact methods. Everything is configured/arranged in the configuration database so you only need one real tool to manage most of it. Since all applications (with there settings) are also stored in the configuration database as objects, it's fairly easy to update/upgrade applications or servers where the applications run on. User Review: "CX is Genesys PureEngage"
Previously, we were using IN-IN call center technology in our call center, but we have moved and use Genesys Pure Engage. The reason for this change was a refreshment on IVR and routing ability. We got really good customer feedback after the switch. I like the product that's why we have changed from IN-IN (former name of Genesys PureConnect) to Genesys PureEngage. The services we're taking from the vendor is also satisfying. Genesys Support is also good. Genesys support side took some time to solve issues, maybe it can be improved. Other than this, real-time reporting should be improved as well, CCPulse or Pulse isn't efficient for us. Previously, we were using IN-IN call center technology. After that, we moved and began to use Genesys Pure Engage. This is a big leap for us. The reason for this change was a refreshment on our IVR and routing ability. We got really good customer feedback after this change. Genesys PureEngage Review: "Genesys: the ONLY solution"
Genesys PureEngage is being utilized across our entire organization, encompassing 5 different business units, to ensure we are working towards efficiency and intelligence in getting work to our people. PureEngage is well suited to an established business that already understands their set up and direction. For a business that is undergoing a lot of change, there is considerable rework needed in the background and it requires very specialized knowledge if it is to be done in-house. Genesys PureEngage Review: "PureEngage SMS integration"
We currently have some of our Health Offerings integrated into the PureEngage system to send out automated SMS notifications to our client's patients on behalf of them. These notifications can be simple appointment reminders to health notifications to let the patient know that they are in need of some medical attention by a certain health provider. The reliability of the platform has been wonderful. Since our integration we have not seen any disruption in our services with the PureEngage platform. We have always received timely updates and resolution to any ticket that we may open and have questions about on a particular transaction that we submitted into the system. Insight into the platform logs would be beneficial to integration such as we have. We do not leverage a lot of the built-in functions but leverage the APIs heavily and it would be nice to be able to see dashboards built around the metrics of the APIs so you could trouble shoot some of your own issues without having to submit support tickets. It seems that PureEngage can plug into a lot of different scenarios such as full system workflow or as our in case just a pass through to send SMS on behalf of our system when we need it. We just needed a platform to push out notifications since our offerings had all the other logic built into it. Genesys PureEngage Review: "Great Job with Genesys!" Genesys PureEngage is being used across the whole organization. The company separates into 3 main products the channel of communication for the customers and as well as internally. Mainly, the bigger channel is Voice, second is Chat and at the end Email. The biggest problem I experience on the QE is regarding the customization for the agent desktop. The company used to use our own desktop apps using Genesys SDK, and constantly we found issues with the libraries that impacted the voice operation mostly. The intelligent Routing is a very good product. This is part of the most important component across the company to support all the traffic of our interactions. This is able to manage cross Geo Routing and select the best agent available accordingly to the Biz rules. Realtime reporting is also another product that works very nice and with high standard of effectiveness and precision of the numbers reported. The way to you can access all this info make really easy to start working on numbers and take decisions in order to improve the service level. Customer desktop integration is some of the bigger issues we experience that affect that affect in a big escale mostly the voice channel. The integration with SDK products sometimes is difficult to identify issues on controlled environment. Then after find some issues the usual time to get it fixed is long. It is well suited for large contact centers since got better control of the environment itself. However for small (100-) contact center it could be less appropriate when in front of cloud operations. User Review: "Genesys PureEngage way to go." With increasing customer expectations, our company knew they needed to address several specific business challenges impacting their customer experience and business efficiency. Our company turned to the Genesys PureEngage™ Platform to amalgamate their contact centers onto a single vendor, and implemented inbound voice, outbound voice, analytics and the omnichannel desktop. With these solutions in place, our company can now blend inbound calls with back-office work to improve agent efficiency. Genesys is providing us with the ability to build that omnichannel customer experience that we had in mind for our customers. It’s giving us the opportunity to share the same language with all channels that we are deploying throughout the organization. Only one platform to answer clients needs through an omnicanal approach. Helping us to be able to blend inbound calls with back-office work to improve agent efficiency. Making possible and easier to improve the whole customer experience. Workspace Web Edition Agent Desktop on Eservices support. Genesys PureEngage is well suited for large environments contact centers with important budgets where personalized integration with business apps solutions are required and the organization have the people skilled for it. Genesys PureEngage is less well suited for smaller contacts centers with lack of skilled people and lower budget. Genesys PureEngage Review: "one of the best contact center solutions in the market"
This product is used as an omni-channel engagement platform to engage with customers and provide them with great customer experience pre-sales and post sales life cycle of the products/services that we offer in the market place. It is a good solution that we have customized a bit to suit the kind of experience that we will want our customers to have when they call in or contact via social media with a query or issue. Provides a good call center experience to engage with customers, prospects. Can be customized to our environment. user training is available and is done well. Better support for the platform as such from the vendor since they seem to have limited experts in the field. Also when doing upgrades to the solution, please be aware of all the inter-linkages and ensure the impact of upgrade on the inter-linkages as we have found that at times links get broken. Very well suited for customer engagement and providing a comprehensive customer experience across multiple channels. Call center agents seem to get used to this solution very fast. It is user friendly. Genesys PureEngage products are being used for IVR purpose for one of our client. It is used by users to get information or to raise an issue regarding the client product. We use phone/email/fax as our services now. Evaluating to use social media. It provides round the clock support for different regions of the globe with different language skillset. Genesys PureEngage products cover end to end automation of client IVR requirements. It has good reporting features to analyze the available data. It has good workforce management features to get good ROI. Genesys PureEngage product has integration issue with MS-CRM product as its getting out of service. Genesys PureEngage product [GA] should have all the features that Config Manager Editor has so users can use either of them which he prefers. Genesys PureEngage should have a feature so that end to end call flow can be shown/tracked either in GA or CME, instead of going to logs and checking. Genesys PureEngage is the clear choice when it comes to end-to-end call center services. But the cost is prohibitive for small companies, for which Genesys cloud is the choice. Genesys PureEngage is the Genesys Customer Engagement Platform for the enterprise. It is designed to be flexible for enterprises, who often have multiple and multi-national locations (including outsourcing) and large peak volumes and populations. Genesys PureEngage aims to help users manage both the customer and employee experience, across all channels, with the power of Artificial Intelligence and Machine Learning. Users can integrate their systems, which the vendor says can help organizations leverage their existing investments. The goal is to unify all customer-engaging teams—from marketing and sales through service and support--so that customers and employees have a smoother journey. The vendor promises Genesys PureEngage is easy to use. It is designed enable rapid deployment, easy configuration and administration. Organizations can turn on new applications and services when needed. Genesys PureEngage offers flexible deployment options. Businesses can choose their consumption model—cloud, on-premises subscription or perpetual on-premises licensing. The system also offers extensive customizability through open APIs and web standards. The vendor says users can extend capabilities to deliver operational efficiencies and a superior customer experience company-wide.